The new Patravi ScubaTec Manta Trust features an automatic helium release valve, making it perfectly equipped for dives of up to 500 meters. 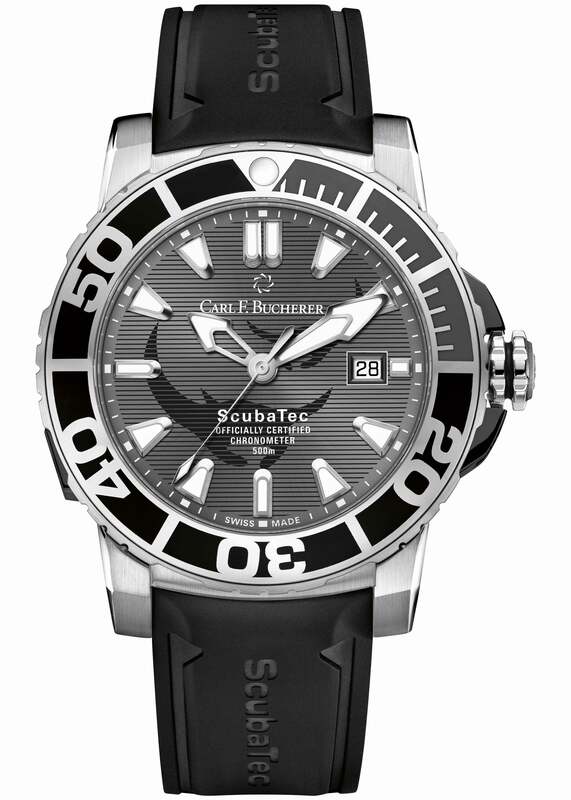 The luminescent indices and hands round off its distinctly sporty look and ensure that it is easily readable underwater. Two manta rays are pictured on the ridged dial, appearing as though they are surfacing from beneath the ocean waves. Each watch is truly one of a kind – a unique engraving on the back of the case depicts the pattern on the stomach of a specific individual manta ray captured on camera underwater by Manta Trust CEO Guy Stevens and his team. The identification number is engraved underneath it. This number acts as an access code to a website where the new owner can bestow a name upon this real manta ray. First, we created a design with the outline of a swimming manta ray. This outline is identical on all the watches. Our designers painstakingly transfer the gills and each individual spot or mark on the underside of the manta ray onto a CAD template. During this process, it is vital to ensure that the marks are correctly transferred and that the pattern on the skin corresponds to the real manta ray whose number is etched on the case back. The individual details are then engraved into the polished case back using a laser engraving machine. Finally, the case back, now almost complete, is delicately polished and cleaned.